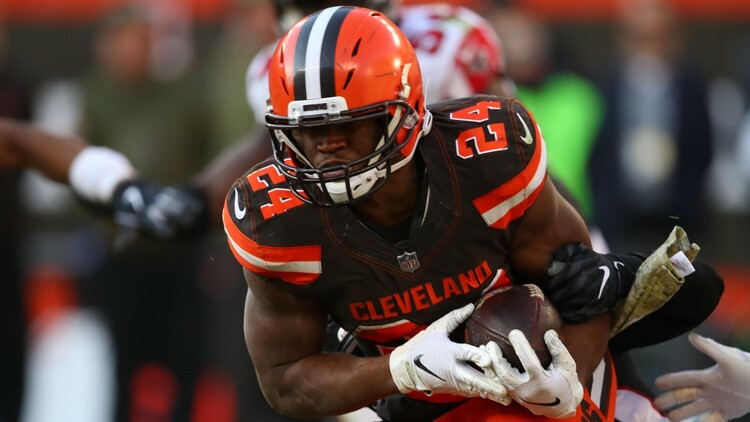 Known for his "throw to win" mindset, new Cleveland Browns offensive coordinator Todd Monken won’t have to be convinced to give ball to running back Nick Chubb. CLEVELAND — New Cleveland Browns offensive coordinator Todd Monken is known for his “throw to win” way of calling plays, but that does not mean he abandons the running game at all costs. Rookie quarterback Baker Mayfield said the Browns might have to do some convincing when it came to running plays for soon-to-be second-year back Nick Chubb, but while addressing the media in his introductory press conference last week, Monken refuted those claims. “I think that is a little bit of a stretch,” Monken said. “I like scoring points so however that is, I think that is a little misnomer. 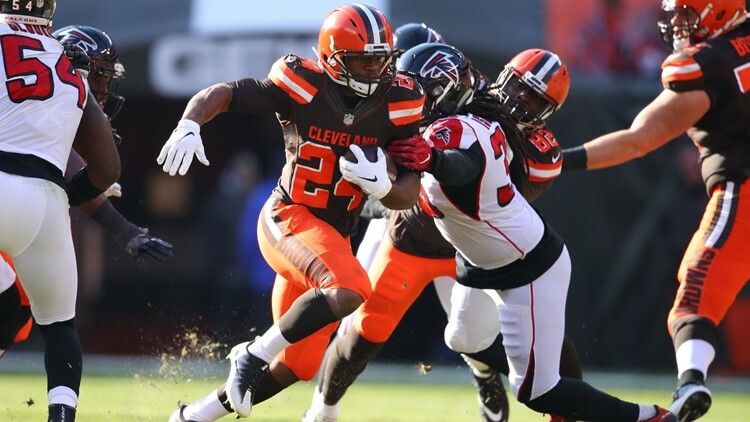 Cleveland Browns running back Nick Chubb rushes the ball in the second half against the Atlanta Falcons at FirstEnergy Stadium in Cleveland, Ohio on November 11, 2018. Of all rookie running backs who have played for the Browns since their founding in 1946, no one rushed for more yards than Chubb, as he set the franchise single-season record in a 26-18 win over the Cincinnati Bengals at FirstEnergy Stadium on December 23. Chubb eclipsed the rookie rushing record set by Trent Richardson during the 2012 season and needed 84 less attempts to do so. Chubb finished the 2018 season, one in which he was seldom used in the first seven games, with 996 yards and eight touchdowns on 192 carries. Chubb had 11 20-yard runs, four 40-yard bursts and 47 first-down conversions. Chubb rushed for 788 of his 996 yards and five of his eight touchdowns on 140 carries with new head coach Freddie Kitchens calling the plays. “Balance is multiple skill players touching the football,” Monken said. “To me, it is not always just run-pass (balance). It is, ‘Do you have enough skill players where they can touch the football?’ Last year at Tampa, we almost had six guys -- if O.J. (Howard) doesn’t get hurt -- with 700-plus yards from the line of scrimmage. Whether Monken decides to pass with Mayfield or run with Chubb, he understands the most important thing is bringing along the younger players and helping them find ways to build on their accomplishments from the 2018 season.